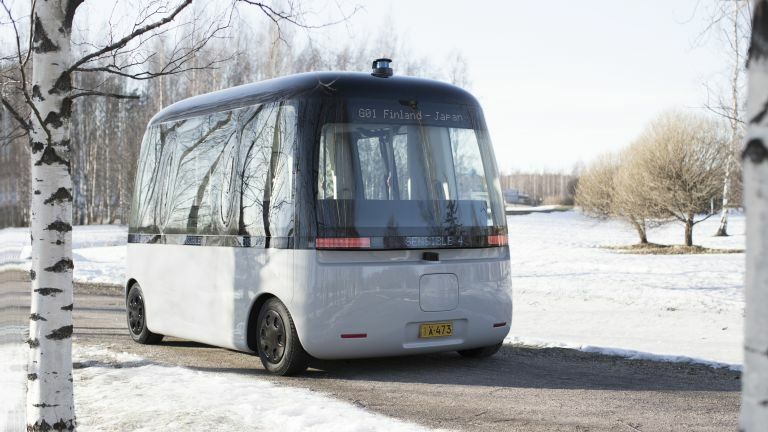 Japanese lifestyle brand Muji and Finnish autonomous driving company Sensible 4 have teamed up to launch Gacha, the world's first autonomous driving bus designed for all weather conditions. As you'd expect, Sensible 4 provided all of the technology for the shuttle, while Muji provided the vehicle’s design and user experience. As a result, Gacha is designed to resemble a toy capsule – "a universal shape that embodies joy and excitement". When not in use, the self-driving system traces a digital map, but when you want to go somewhere, you can summon Gacha using an app, then wait for it to arrive. This allows you to spend your time more effectively. It operates more efficiently than a traditional bus by responding to your requests and finding the optimal route. It can even take a route that includes narrow lanes, which are difficult for regular buses to pass through. The self-driving technology is designed to work in all weather conditions, such as heavy rain, fog, and snow. Inside you'll find a spacious interior with comfortable rounded bench-style seating (designed to encourage conversation) and no driver's seat. This new transport system is designed to be a safer and easier than existing public transport, not just in urban areas, but in suburbs and villages that have suffered population decline. The Gacha app also connects with existing transportation services, and will show you the best route and transportation methods depending on the time of day and traffic. In the future, Gacha shuttles will not only carry people, but could also offer various services, such a mobile library or shop.